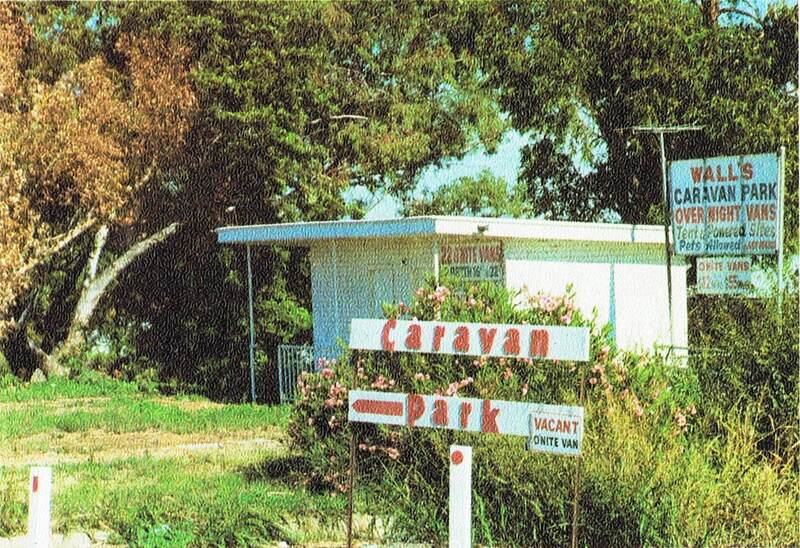 The park was originally named Walls Caravan Park, and its reputation in town was less than ideal. In addition to this, we needed a name that would put us at the top of the Yellow Pages listings. 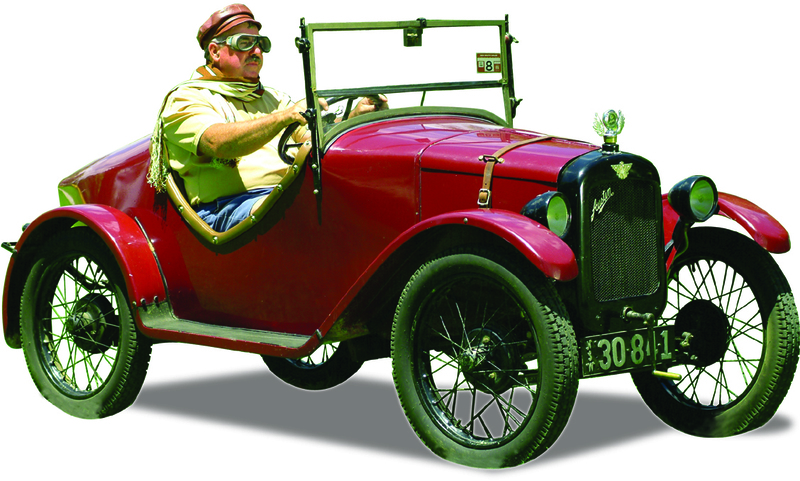 After much discussion the name Austin was chosen, because the owners have a 1927 Austin 7 duck back sports car. Austin is also a family Christian name, with two of the owners being Martin Austin and Frank Austin. Frank and Chris have a son named Phillip Austin, and he in turn has a son named Henry Austin. Back in May 1982 members of the Edwards family attended an auction in Sydney and purchased the Walls Caravan Park on the New England Highway in Tamworth. Essentially they brought a bare 9 acre block of land, stepped in shape, running from the New England Highway down to the Peel River. The park did have the usual services like power, town water, and the like, but much of it was in desperate need of replacement. One of the first major projects for the new owners was to build an amenities block. The original block, due to a subdivision of land, was now located within the grounds of the hotel next door. With one of the owners being a builder, the first block was so well built, it is still standing and being used today. The first park office and residence was an old van and canvas annexe, and this was where Frank, Chris and their 3 children lived whilst the amenities and a new residence (which included a park office) were built. At the same time as the park residence was being built, a new pool, pump house and toilet were put in at the front of the park. The next stage of redevelopment was to start tarring the roads around the park. In a happy coincidence the local airport was being resurfaced at the same time, and we used any leftover tar for our roads. Our first accommodation units were two brand new Millard 2000 series road vans. By March 1985 cabins were being built by Jayco. Although these were a box shape, and had limited mod-cons, they were a step up from the road vans. Two of these cabins with toilets, (no showers) were purchased for the park. Within two years, the cabins had progressed to include an full ensuite – both toilet and shower – and we purchased two of these to add to our two toilet only models. When we first started redevelopment, we brought a small demountable amenities block to service our riverside sites. 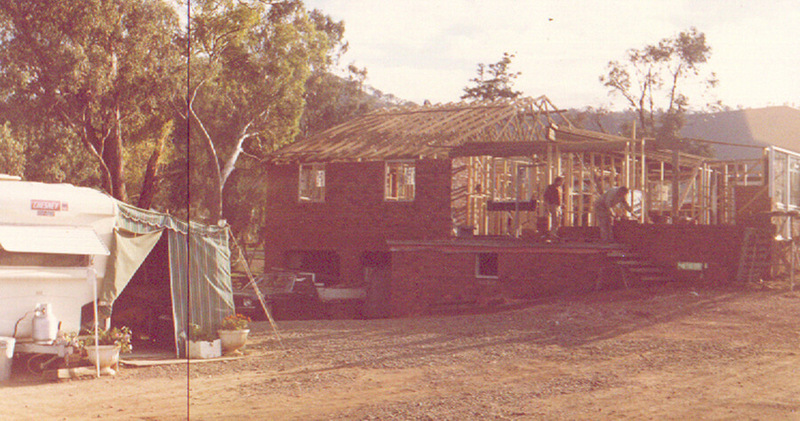 By 1993, there was a need for a new toilet block with more showers as well as a camp kitchen. Whilst we were doing the work to update the toilet block, more power was added to the riverside sites. The park is conveniently situated between two of the local concrete plants, and in 1998 we started to concrete our roads using any leftover concrete. Sometimes as fast as we dug out the roads, the faster the concrete arrived! It has meant we have a lovely patchwork for our roads, and many have small imprints from leaves, animals or the small hands who oversaw the work! The park has been through two major flood events. The first was in 1984, and there was a minimum of damage done to the park. The flood in November 2000 was more damaging and removed much of our riverbank. We then had to rebuild the riverbank, and following the usual engineering drawings and government paperwork, we started work in mid-2001. Using more of the leftover concrete, we built an erosion control wall with three-quarter tonne blocks. It took us until December 2013 to put in about 6000 of these blocks and to stabilise the riverbank. We have discovered since putting in the wall, just how much the local reptile population love the block wall and often a lizard or two is found sunning themselves happily. By 2012, another upgrade of power supply (to 400A per phase) was desperately needed, and we started the groundworks to install the heavy cables from the front of the park through to our top amenities block. From there we are gradually running more cable across the park to upgrade the park. We are currently working our way through a five-year project to upgrade our riverside site area, and at this point we are working on the groundworks of the project. This includes adding more power poles, and sewer points along the riverbank, a new dump point, plus a new amenities block, with a laundry as well as a new camp kitchen.